Here at Creations Galore, we have so much paper, we're not sure you'll ever see it all. Therefore, every Friday we showcase a store favorite, giving you the opportunity to say, "Wow. They have that!?!" Today we're featuring double sided paper that makes me anxious for summer. 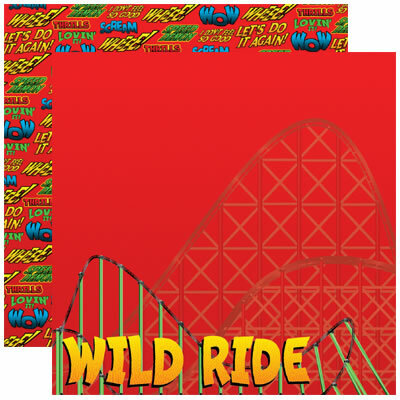 Introducing to you Coaster Fanatics 12 x 12 Paper from Reminisce. Don't forget the matching stickers, Coaster Fanatics. Creations Galore will be open until 9 PM tonight. Stop in to craft in the crop room, shop the store, or create a Make N Take. Have a great weekend!